So here I am working late waiting for some developers to test they new code before I can go home to hopefully get some sleep before back to work again, and I decided that to kill some time I would have a crack at making my own DIY passive ethernet tap (click HERE for more information) . 1. Krone tool for making nice snug, secure connections or you can use a flat bladed screwdriver. 3. 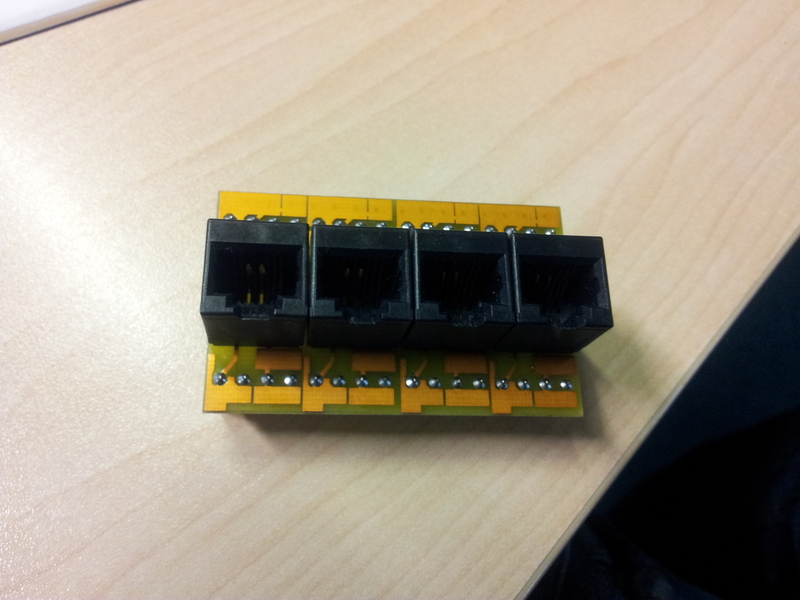 Some form of CAT5 module that you can crimp your connections into. 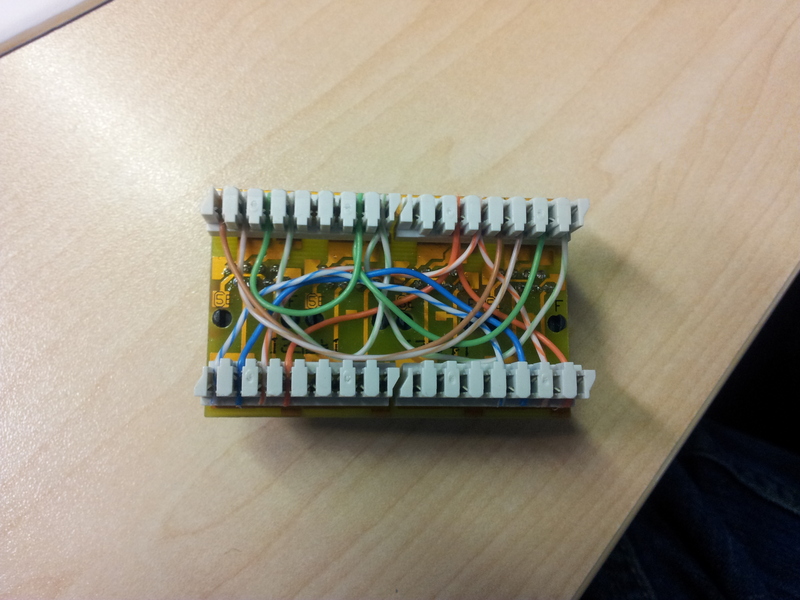 For mine I used the KATT-4 module from the back of an old patch panel (I have a bag of these at home). The basic principal behind creating your own PET is to pass the active network connection through the PET while allowing you to connect another device to the connection so you can “sniff” the traffic. 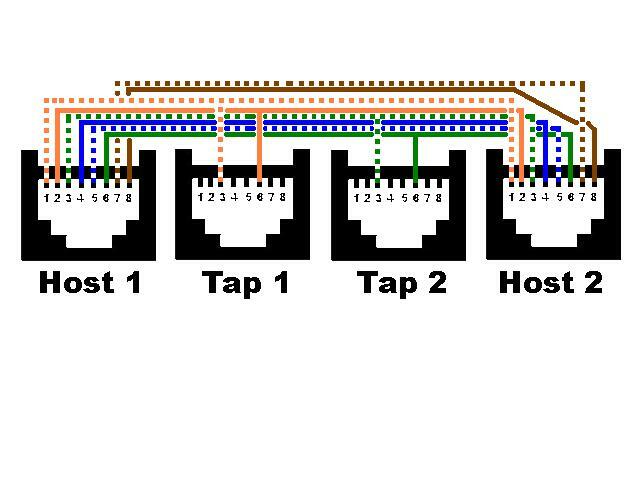 The issue lies in that as most things on a network run at full-duplex you must have 2 tap connections to get all the traffic. This means you either need 2 network cards in your sniffer or have some way to bond the 2 taps together to collect all the traffic (I’m still working on this at the moment). I’m not 100% sure but I don’t think PET’s work on 1Gb connections (might have to try that at some point). cheaper still use 2 cat5 RJ 45 Cables..
green wire and the green&white wires on both halves. Remove some of the grey sleeve on cable 1. burn off the insulation on the green&white, green, orange&white and orange wires. now connect the green&white wire from cable 2 to the green&white wire on cable 1. insulate with electrical tape. connect the green&white wire from other half of cable 2 to the Orange&white wire on cable 1.
use marker pen to identify host and tap.